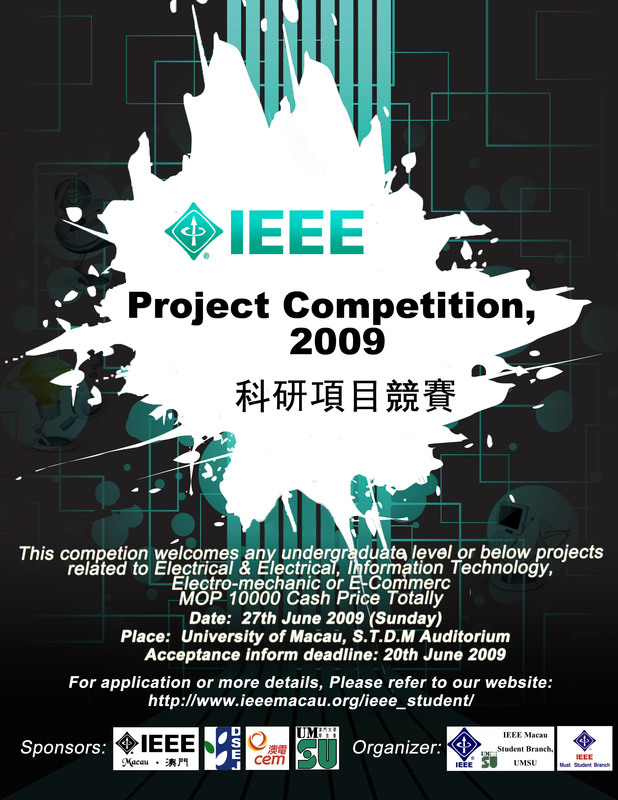 IEEE student branch, as a important part of Student Union of University of Macau, established nine years ago. The destination of our student branch is to bring the latest electrical and electronics information or other scientific news to our UM students and to be a connection between our students and the famous IEEE institution to help our student to find the scientific material conveniently. Every year, we hold a series of activities in the purpose of helping our fellow students to obtain knowledge outside textbook, arising their curiosity in study and widening their field of vision. The activities include technical seminar, IEEE magazine "Tech – feel", "project competition" for the whole Macau and the exchange activity with other university or institution in Hong Kong or China mainland. Now, we have a great group and everyone believes we can do the best in ever. This competition is aimed to enhance the quality of science and technology environment. It is also a precious opportunity for exchanging knowledge and experience among different university students. Let play a role to move the technology to international!